Receiving mail in the trees is usually limited to kids playing in treehouses or Ewoks. 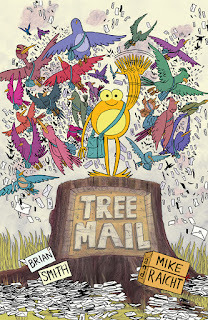 Generally speaking though, whatever mail is received will likely be good news and the thought of tree mail bringing joy is something that Mike Raicht and Brian Smith are working on in tree Mail from Dark Horse. The work hits stores November 2. Rudy is hopping his way into your heart and inspiring your dreams this November! 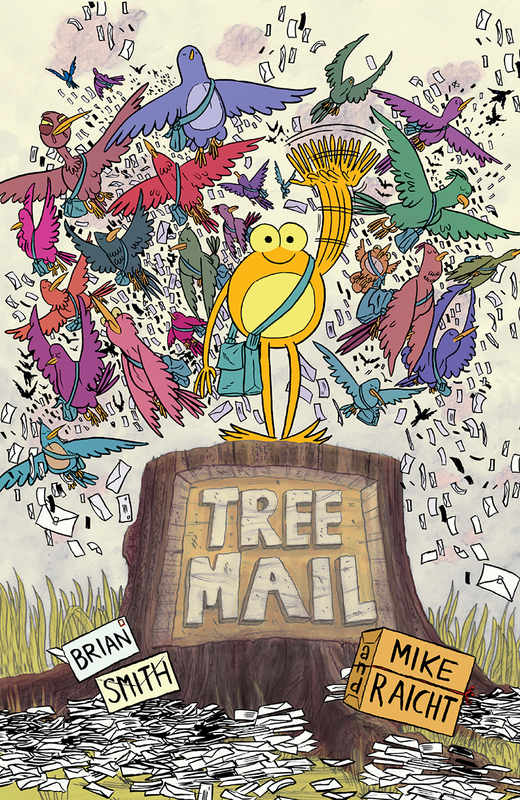 FOR IMMEDIATE RELEASE: MILWAUKIE, OR—Dark Horse Comics announces Tree Mail, a forthcoming all-ages graphic novel from the New York Times best-selling The Stuff of Legend creators Mike Raicht and Brian Smith. The Stuff of Legend is currently in development as a major motion picture at Disney Studios! Mike Raicht is the author of numerous comics, including The Stuff of Legend, Wild Blue Yonder, Marvel Age: Hulk, Marvel Age: Spider-Man, X-Men Unlimited, Exiles, What if? World War Hulk, Joker’s Asylum: Killer Croc, Batman Incorporated Special, Superman, Redakai, Godzilla, Infestation: GI Joe, X-Files, Army of Darkness, Dark Shadows, and Finding Nemo: Losing Dory. Brian Smith is the writer and/or artist behind such projects as The Stuff of Legend, SpongeBob Comics, Bravest Warriors, Hello Kitty 40th Anniversary Celebration (Perfect Square Books), Teenage Mutant Ninja Turtles, Creepy Comics, Monsuno, Max Steel, and Ben 10. Tree Mail has been developed and funded in collaboration with Noble Transmission, a comic book entertainment company for the digital age co-founded with the mission to deliver engaging content and “characters with character” that inspire.